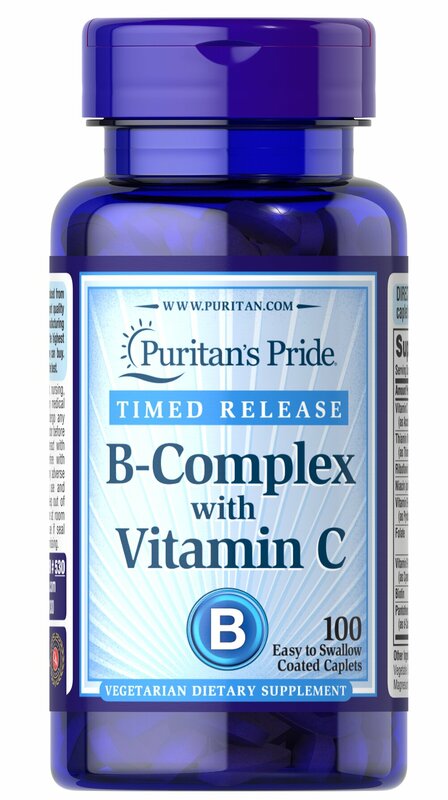 Vitamin B Complex + Vitamin C Time Release tablets provide you with an excellent source of the B Vitamins to promote energy metabolism and nervous system function. ** This formula is enhanced with the antioxidant Vitamin C, which helps fight cell-damaging free radicals in the body while supporting a healthy heart. ** Just one high-potency tablet each day can also help you maintain a healthy immune system and provide nourishment for the stress of daily living. ** Each vegetarian tablet is coated for easy swallowing.